Versace Jeans opened in Panorama Mall, one of the most prominent features of the city of Riyadh tourist due to its unique of engineering design and the uniqueness of panoramic view of its façade, which overlooks the intersection of Takhasosi and Tahlia Street. The mall includes the finest international brands in which vary to suit all tastes by high with various ages. The boutique’s atmosphere is welcoming with its blue Versace Jeans signature color. 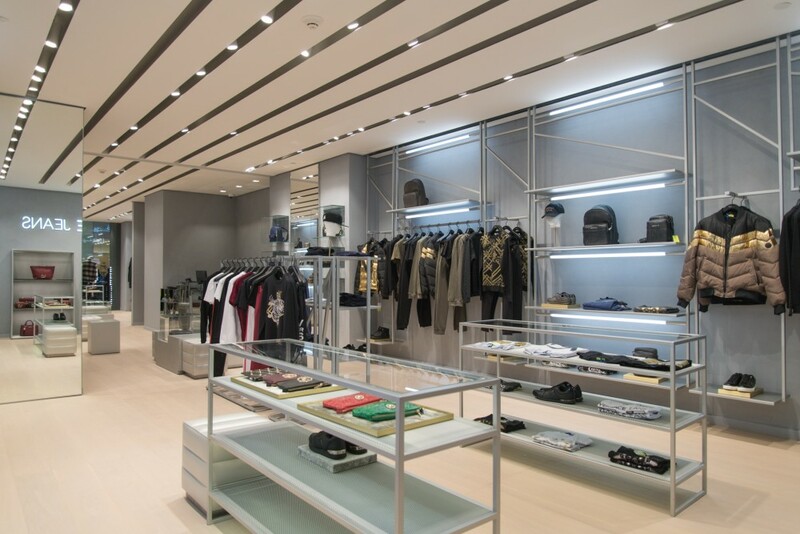 The boutique is sophistically designed to reflect the beauty and modernity of the showcased apparel with a space of 147 square meters of built area. Quattro Middle East is the Millwork company who has worked on the project. 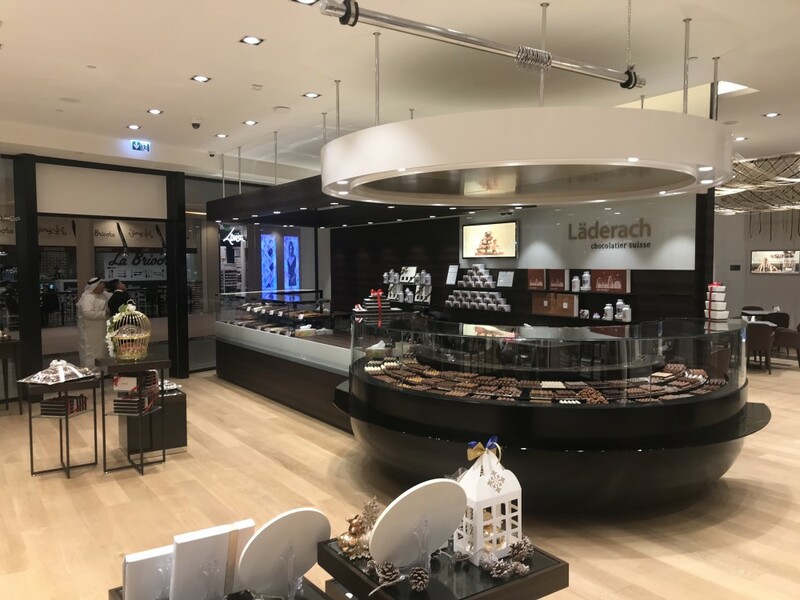 Läderach has stood for top-quality, hand-made Swiss chocolate and confectionery specialties since 1962. 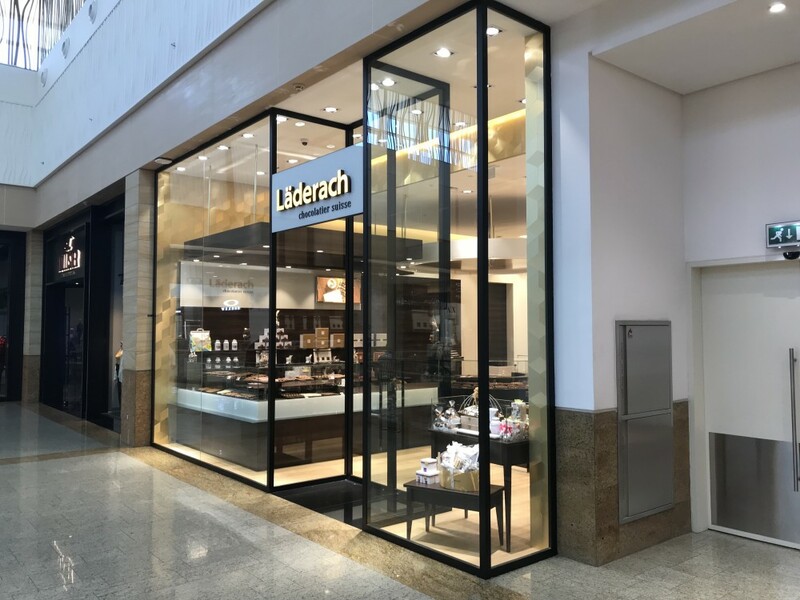 The company has recently opened two new locations at the Dubai Marina Mall and Mirdif City Centre. Quattro Middle East is the new partner of Essequattro s.p.a. The office in Abu Dhabi coordinates contract projects for the luxury market in Arab countries, working in close contact with architects, interior designers and international companies. The company has important, sophisticated and highly demanding customers: international fashion stores and boutiques, luxury hotels, resorts and residences which have been built on the basis of exclusive projects. Looking for a Millwork Company Based in the Middle East? Quattro Middle East is the new partner of Essequattro s.p.a. The office in Abu Dhabi coordinates contract projects for the luxury market in Arab countries, working in close contact with architects, interior designers, and international companies. The company has important, sophisticated and highly demanding customers: international fashion stores and boutiques, luxury hotels, resorts and residences which have been built on the basis of exclusive projects. A Look Inside the New Ermenegildo Zegna Flagship in N.Y. The Prestigious London Based General Contractor Turning Your Design Into Reality. The Company Helping Clients By Providing a Customized Blend of Cutting-Edge Technologies.